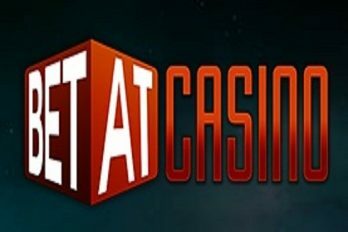 BETAT Casino was created with physical casino players in mind. The casino is an instant-play casino favouring players and a great selection of games. A simple layout and interface reinforces its player-friendly approach, making it easy to use. The casino is licensed and regulated by the Lotteries and Gaming Authority in Malta. Launched in 2011 by NRR Entertainment, BETAT Casino has made a rapid rise in the casino industry. Its impressive selection of games is provided by a number of different platforms. The casino is available across Europe and in multiple languages including English, Portuguese, Spanish, Greek, Finnish, Russian and Swedish. Players have lots to choose from when using BETAT. Slots are some of the most popular amongst players and the casino provides many of the most popular games available, including Immortal Romance, Thunderstruck II and Tomb Raider. As is the case with slots, each game has its own theme and pay structure. BETAT also offers many progressive jackpots. There are also table games for players to enjoy, and plenty of them! There are five variants of Roulette to choose from as well as seven versions of Blackjack. Craps and Baccarat are included along with four casino poker games. Video Poker players can also try their hand at BETAT, as the casino offering several game options provided by Microgaming, including Joker Poker and Deuces Wild. BETAT keep to their promise of being player-friendly and ensure there’s no downloadable software required, meaning all players have to do is register then play directly through their browser. Microgaming is the predominant software provider and there are over 200 games in the casino. Games are also delivered by NetEnt and NextGen, ensuring that there’s an all-star cast of software providers used by the casino. The most popular games can also be found on the mobile version of the casino which players can access through their mobile browser. BETAT offers a great welcome package for new players. The casino will double players’ first 2 deposits with an equal amount, in addition to giving away up to 100 free spins, with 50 usable on popular slot games, Starburst and Twin Spin. The site has been constructed to financially reward players for doing well in certain games, such as Thunderstruck II and Immortal Romance. The “Achievement Feature” is unique to the casino and gives increased cash rewards for casino and game loyalty. Players can deposit and withdraw on BETAT using a variety of methods, including credit and debit cards as well as NETELLER and Skrill. Each method has its own processing time and withdrawal limit, so it’s important to review each method prior to usage in order to manage expectations. All communication between players and the casino is encrypted by SSL connection, including uploading of personal documents. All casino games are regularly audited externally by Technical Systems Testing and the Swedish National Laboratory of Forensic science, with the results published online. A live chat feature is clearly indicated on the top right hand side of the screen, just above where a player would type in their login details. The feature is available 24/7. Unfortunately there is no email or telephone option on the website, however on the “Complaints” page, ocated at the bottom of the page, players can fill out an online complaint form which looks fairly similar to an email.